Upload images of Vusta in your home for a chance to receive £200*. 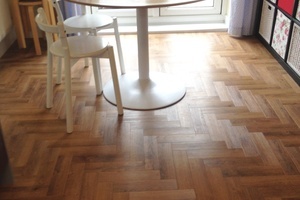 We love our Oak Tradition parquet! A lively, smoked wood medley of sunny and tawny shades. In Oak Tradition, the opulence of golden timber meets cool chestnut tones in a striking smoked wood effect. The parquet flooring features an eclectic range of shades which bring eye-catching interest to beneath your feet. Design this floor in a double herringbone pattern to bring a modern edge to its rustic look or opt for a basket weave design to emphasise every detail. Tradition Oak can evoke pleasant contrasts in neutral colour schemes or inspire depth in cottage-inspired spaces. With outstanding durability and a water-resistant surface, Tradition Oak is practical for any room in your home. 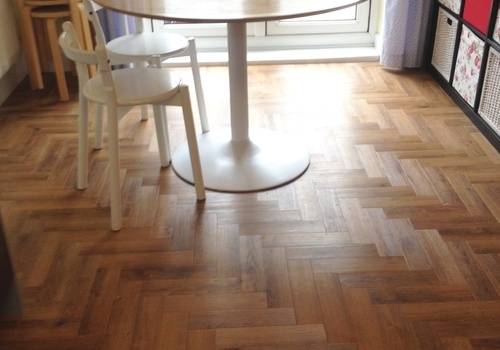 Order a free sample from above to take a closer look at this classic parquet flooring or visit your nearest stockist.